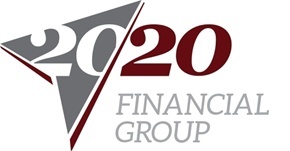 At 20/20 Financial Group, A Financial Planning and Wealth Management Services Firm, we believe in building and fostering close relationships with our clients. We understand that the best way to assist the select families, entrepreneurs and professionals we serve is to help them manage, pursue, preserve and pass on their wealth. Our group has more than 50 years of combined financial services experience and by working as a team we leverage our shared knowledge to provide outstanding service to all of our clients. Let us help you bring your financial vision into focus. Dan Shevlin is a Member of the Chester County Estate Planning Council and winner of the Five Star Professional Award as a Wealth Manager in 2012. The Five Star Award is based on 10 objective criteria associated with providing quality services to clients such as credentials, experience, and assets under management among other factors. Wealth managers do not pay a fee to be considered or placed on the final list of 2012 Five Star Wealth Managers.